For many months now, the focus has been on the Sri Lanka Freedom Party (SLFP), struggling as it is with internal divisions between the two factions aligned with President Maithripala Sirisena and his predecessor, former President Mahinda Rajapaksa. Two weeks ago though, the United National Party (UNP) saw a series of changes being made to its hierarchy and many saw this reshuffle as a sign of things to come. 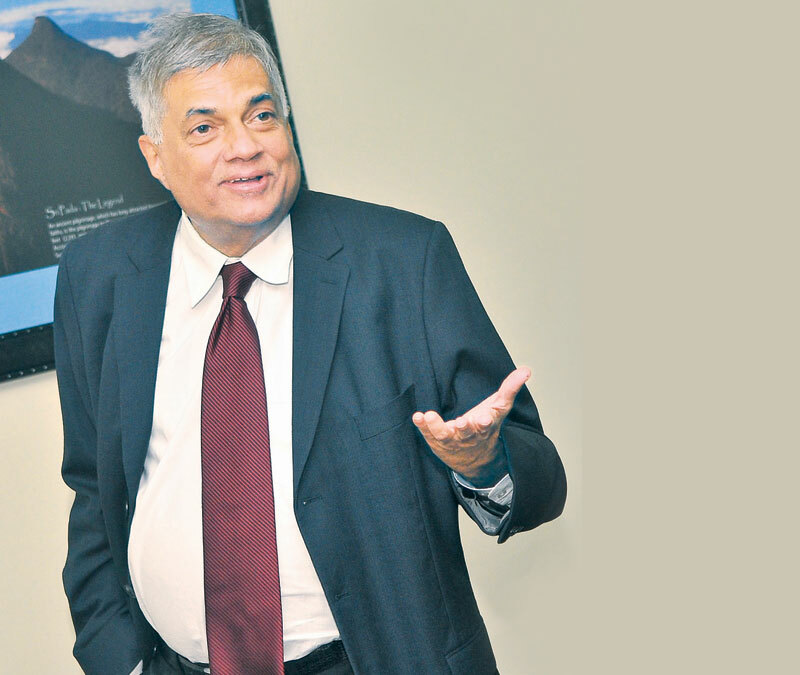 Party leader and Prime Minister Ranil Wickremesinghe had wanted to bring about changes to the party for some time now. Having languished in the opposition for nearly twenty years - barring a brief period between 2001 and 2004- the UNP underwent a series of convulsions during which the leadership itself was challenged many a time, most notably at an election in December 2011. At that election, Ranil Wickremesinghe was elected as the leader of the UNP, Sajith Premadasa was elected as deputy leader while Daya Gamage was elected as the party's national organiser. The UNP leader Ranil Wickremesinghe received 72 votes against Karu Jayasuriya's 24 votes. Deputy leader Sajith Premadasa received 52 votes defeating Ravi Karunanayake who received 44 votes. Daya Gamage defeated Dayasiri Jayasekara receiving 56 votes against Jayasekera's 40 votes. Those were indeed difficult days for the UNP. Recently, Prime Minister Wickremesinghe was to allude to the party's difficult days even before that when it bore the brunt of attacks by the Liberation Tigers of Tamil Eelam which wiped out its second line of leadership. Drawing a jocular parallel, the Premier said J R Jayewardene had envisaged the UNP as a three wheeler where Ranasinghe Premadasa was the front wheel and Lalith Athulathmudali and Gamini Dissanayake were the two rear wheels. He himself was only the 'spare wheel', the Prime Minister said. The UNP had been running on the 'spare wheel' for over twenty years, he said. While the LTTE was responsible for the assassinations of Premadasa, Athulathmudali and Dissanayake, the differences between them had dragged the party down well and truly even before their deaths. These culminated in the impeachment moved against Premadasa and led to the birth of the Democratic United National Front (DUNF) led by Athulathmudali and Dissanayake. Wickremesinghe who had a ringside view of that tussle was firmly with Premadasa throughout the crisis. Thrust into the party leadership after the defeat of the UNP and the advent of Chandrika Kumaratunga into office in 1994, the Prime Minister had to endure trying times. As the UNP lost election after election calls for his resignation grew by the day. A brief stint in power in 2001 was not very helpful as Kumaratunga, using the executive presidential powers at her disposal took over key ministries and then dissolved Parliament. Soon, the UNP was sitting on the opposition benches again. Come 2005 and Mahinda Rajapaksa cleverly engineered a boycott of the presidential election in the North that saw him win the election. The successful prosecution of the war effort in 2009 ensured his re-election by a massive margin a year later. By this time, the UNP had been relegated to 'outsourcing' its candidature to Sarath Fonseka. It was in the post-2010 scenario, when Mahinda Rajapaksa appeared invincible in his hold of power that the dissension within the UNP flared up. Parliamentarians were openly challenging the party leader in the media and hurling personal insults at him. Wickremesinghe's obstinacy and his political shrewdness stood him in good stead in this instance as he refused to quit and had taken the precaution of ensuring that the party's highest decision making body, the Working Committee, comprised mostly of his loyalists. In many ways, the party election in December 2011 was the nadir of the UNP. The rest as they say is history. The decision not to field a candidate of its own and support Maithripala Sirisena at the 2015 presidential election, had it backfired, could have potentially ended the UNP leader's political career. Not all in the party supported the idea. However, Wickremesinghe was astute enough to realise that had he contested Rajapaksa, the Rajapaksa campaign would draw on the nationalist sentiments of the majority community and paint him as Western imperialist in coat and tie to win the election, a tactic they couldn't employ against Sirisena, the archetypal Sinhalese villager if ever there was one. It was a huge gamble that Wickremesinghe took and it paid off. Now, the Prime Minister is keen to ensure that the wheels don't fall off the UNP yet again. Hence the new appointments. Primary Industries Minister Daya Gamage, who was the national organiser of the UNP, has been appointed as the party deputy chairman. The post of national organiser has been scrapped. The party's Working Committee also ratified the appointments of Gamage's spouse, deputy minister Anoma Gamage as the chairperson of the Eksath Lak Vanitha Peramuna. Meanwhile, Minister Akila Viraj Kariyawasam has been appointed as head of the UNP's main trade union, the Jathika Sevaka Sangamaya while Minister Harin Fernando had been appointed as the head of the Jathika Wathu Kamkaru Sevaka Sangamaya. Parliamentarian Dr Kavinda Jayawardana has been appointed as National Youth Front Chairman while Deputy Minister Dr. Harsha de Silva and State Minister Ruwan Wijewardene have been appointed as assistant secretaries of the party. There was speculation prior to these announcements that Kabir Hashim, general secretary of the UNP and Sajith Premadasa, deputy leader would also have their positions reshuffled but that did not eventuate. The Prime Minister does hold the view that the general secretary of the UNP should not be a parliamentarian, a view held by J R Jayewardene. Indeed the party has had secretaries of the calibre of Daham Wimalasena who were not politicians but served the party well. Therefore, a change in the position of secretary may still occur, though this is not a reflection on Hashim who is held in high esteem by the party leadership. Housing and Construction Minister Premadasa was quizzed by the media and asked whether he feared losing the No. 2 slot in the UNP after the Working Committee meeting that ratified these appointments and he gave them an earful. The media should be more responsible in reporting events and not depend on speculation was his message. The party now has a strong 'third tier', he said. Indeed, the relationship between the Prime Minister and Minister Premadasa has improved by leaps and bounds in recent times. Premadasa was present at the Premier's birthday celebrations at Temple Trees where the invitees were few in number. In recent public comments, Premadasa has been glowing in his remarks about the Prime Minister. To his credit, Minister Premadasa has been maintaining a low profile and been content with attending to the duties of his ministry since taking on his portfolio, which was also held by his late father. This rapprochement comes at a time when Finance Minister Ravi Karunanayake, who contested Minister Premadasa for the deputy leadership of the UNP in 2011, has been embroiled in controversy after controversy. Karunanayake's last budget was a disaster and Prime Minister Wickremesinghe had to intervene to repeal many provisions. Since then, there has been a tussle between the two over the appointment of directors to institutions under the Finance Ministry's purview. Not to be outdone, Wickremesinghe removed key institutions from the Finance Ministry when they were gazetted after the general election. A good student of local political history, Prime Minister Wickremesinghe must know that the tussle between Ranasinghe Premadasa and Lalith Athulathmudali and Gamini Dissanayake ruined the UNP. He would be keen to prevent a recurrence of that a generation later between Ranasinghe Premadasa's son and Karunanayake who was a protégé of Athulathmudali and took his first political steps in the DUNF. That is Premier Wickremesinghe's next challenge: to ensure a clear line of succession from among the next generation of UNP leaders, so that it doesn't have to endure the upheavals it went through more than twenty years ago.